Right now for many people there may be no better rewards programs than ones that can help save money on the cost of gas while still earning reward points for every dollar you spend. The best of the Chase rewards credit cards for doing just that is the Chase Freedom card as you earn a huge 5% cash back on all gas purchases several times a year as well as occasional special offers that can shave more than a few cents off the price of a gallon of gas at select gas stations. The Chase Freedom Card offers a lot more than just great gas rewards though and is an all around good choice for those who use their credit cards on a regular basis, pay their credit card bills on time and would like to be rewarded for doing so. All purchases made on the chase Freedom Rewards card earn at least 1% and a rotating category system means that you have opportunities every month to earn bugger rewards on select every day spending like groceries, home improvement, travel and even on school supplies at just the right time of year – back to school time. Rewards can be redeemed for a huge selection of merchandise at the chase Rewards site, on travel vouchers or for gift certificates including gas cards. The Chase Freedom card has an APR of 0% for the first six months and then a variable interest rate of between 12.9 and 20.9 thereafter depending on your credit rating and card payment history. Chase does not offer as many retail specific rewards cards as they once did but the Disney Rewards Visa that they offer can be a great card for parents, grandparents and just plain old Disney fans to have in their wallet. Whether you chose a Disney rewards Visa card that “stars” old Disney favorites like Mickey Mouse and Goofy or newer classic characters like the Toy Story 3 crowd or Nemo every Disney Rewards credit card comes with a very reasonable variable APR of 12.90 to 20.90% depending upon your credit rating and there is no annual fee. On most purchases made with the Disney Rewards Visa points are awarded at the rate of 1 for every dollar spent. They can then be redeemed on almost everything Disney themed you can imagine (and that is a very wide range of merchandise) as well as put towards the cost of a visit to anyone of Disney’s theme parks including Disney Europe and Tokyo Disneyland. In addition to rewards points the card offers all kinds of Disney related perks and discounts on everything from stuffed toy purchases at your local Disney Store to special financing offers that can make that dream family trip to Disneyland happen a lot sooner than you might have imagined possible. Many of the credit cards offered by Chase offer great travel rewards but the one that earns them the fastest and can earn you the most is the Chase Sapphire card. This is a great overall credit card that is designed for those with a very good to excellent credit rating and you will get the most out of the value of its rewards program if you are the type of person who makes a habit of paying off your monthly balance in full most of the time. You can earn points in far more ways than just on everyday purchases though. For example you can earn 50,000 bonus points after you spend $3,000 in the first 3 months – that’s worth $625 toward airfare or hotel accommodations! Very few travel rewards cards can beat that kind of bonus reward, one of the reasons that the Chase Sapphire card is such a great choice for frequent travelers. You can redeem your points earned for more than travel rewards but those points go a lot further if you do chose to use them to help fund your next trip, whether it will be for business or for pleasure. For example, 50,000 points can be redeemed for two flights worth up to $312.50 each, which would usually cost 62,500 points. To get that kind of deal all you have to do is book your travel and hotel accommodations through Chase’s Ultimate Rewards website. Another big perk of the Chase Sapphire card is that you are charged no foreign transaction fees if you use your card when you are traveling abroad. This alone can save you quite a lot of money because many credit card companies, and banks, charge fees that are equal to 2-4% of the transaction total which can add up to quite a lot over the course of a single vacation or business trip. The cards mentioned here is just a small selection of a number of different rewards credit cards that Chase offers. Before you choose any rewards card though always make sure that you read all the fine print carefully. 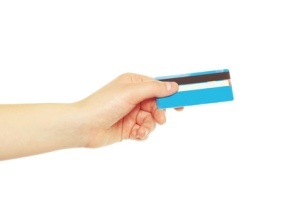 Some rewards credit cards put a cap on how many points you can earn in a year while others attach “expiry dates” to points that if you are not aware of you could end up losing all your hard earned points because you simply did not use them in time.